I've chosen random winners for my two most recent book giveaways. 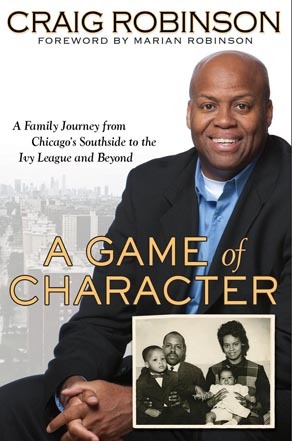 Leslie from Under My Apple Tree has won A Game of Character by Craig Robinson, and Amy from The House of the Seven Tails has won Perfectly Untraditional by Sweta Srivastava Vikram. Congratulations to both of you! I hope you'll enjoy reading these books as much as I did. If you didn't win today, please take a look at the other book giveaways listed on the right side of my blog. Baked greens, anyone? The traditional way to cook Southern greens is to boil or simmer them slowly with a piece of salt pork or ham hock for a long time until they are very soft and no longer bitter. My friend, Eriko, told me how to bake them. I know--this has absolutely nothing to do with books. Zilch! But they are delicious and easy to make, and you can munch on them while reading, if you want a connection to books (however tenuous). To make them, you'll need mixed greens. I found a huge bag of turnips, mustard, collards, and spinach from Trader Joe's (for a bargain price, only $2.29!). They aren't organic, but if I ever see an organic version I'll get it, even if I have to pay a bit more. Rinse the greens (even though they are prewashed) and pat them dry. Spread greens on a pan and drizzle a tiny bit of olive oil over them (not too much or they will become soggy), mix them for a moment to spread the oil, and then sprinkle them with salt (and pepper and other spices, if desired). I use Himalayan pink salt crystals, also from Trader Joe's (one of my favorite grocers). Bake at 350º for about 10 to 15 minutes until they are somewhat crispy, turning them occasionally and making sure they don't get too brown. They are wonderful! They taste kind of like crisp seaweed, so if that flavor appeals to you then you will enjoy these. Really Random Tuesday is a way to post odds and ends--announcements, musings, quotes, photos--any blogging and book-related things you can think of. If you're inspired by this idea, feel free to copy the button and use it on your own blog. Please leave a link in the comments if you’re participating and I'll add it to this post. For other recent Really Random Tuesday posts, please also visit Avis' blog, she reads and reads, Vivienne's blog, Serendipity, and Naida's blog, the bookworm. These terrific book bloggers "make my Tuesday" whenever they do my meme. Thank you, ladies! Congrats to the book winners, happy reading. Enjoy your greens, being retired we eat lunch out each day, so I don't do much cooking anymore. Like I said I'm retired. hee, hee. I've never heard of baking greens, but I do love greens, so I'll have to give them a try. I have never heard of baking greens!! Sounds interesting and I'll have to give it a try. Congratulations to your winners! I have never had baked greens before, but I can imagine they would be crunchy and delicious and I might just have to try them out! Thanks for sharing this recipe with us, Suko! They sound wonderful! Pink Himalayan sea salt, now I'm intrigued. Not something available here in England (or is it?) I'll have to see if this is available via internet shopping. 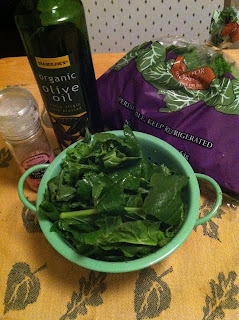 I've been meaning to try to bake greens -- thanks for the recipe! Congrats to the winners and thanks for mentioning my last RRT post! Congrats to the winners. Enjoy your greens! Thanks for running a super meme. It is one of my favourites. Thanks Susan for making an extra post on the baked greens: mustard, collard, spinach, turnip greens. I actually saw the actress Gwyneth Paltrow demonstrate these on the ELLEN show, but used kale. I'm wondering if that recipe will work with Swiss Chard. I'll have to give it a try. I've never heard of baking greens either...and I do so love greens...add a slice of hot cornbread baked in a cast iron skillet and there is absolutely nothing better! MMMMMM! Thanks to Eriko for the "recipe", and thanks to everyone else for the comments. Petty, I'm not sure exactly what the difference is between pink and white salts--I should use Google to find out. The only green veggies I've baked are green beans and asparagus. This sounds worth a try. This sounds fantastic. Thanks so much for sharing :) I love stuff like this. Plus I love greens especially collard greens. Everyone needs new/different waits to cook veggies. I have to give this recipe a try. The prep time is so much shorter than what I do. Thanks. congrats to the winners :) thanks for the recipe Suko, I do enjoy greens and Trader Joes is awesome. I go every few weeks.